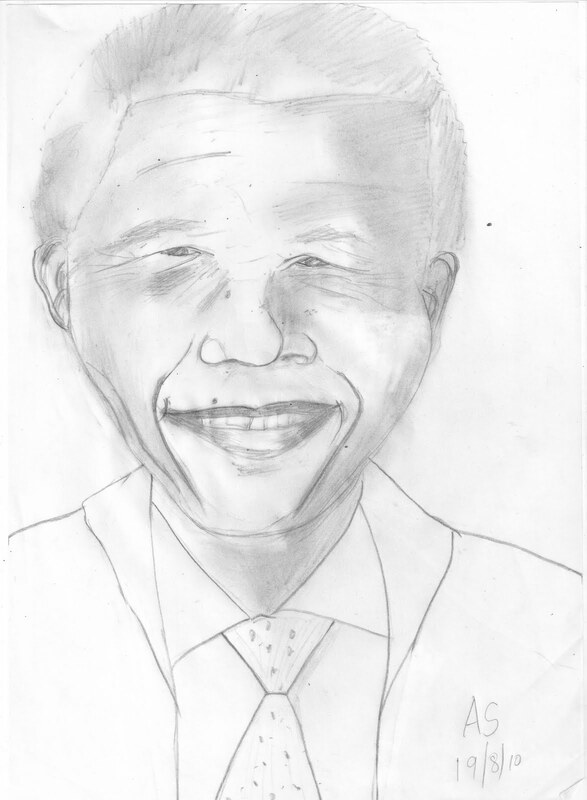 Nelson Rolihlahla Mandela was born on 18 July 1918 and served as president of South Africa from 1994 to 1999, and was the first South African president to be elected in a fully representative democratic election. Before his presidency, Mandela was an anti-apartheid activist, and the leader of the armed wing of the African National Congress (ANC). In 1962 he was arrested and convicted of sabotage and other charges, and sentenced to life in prison. Mandela served 27 years in prison. Mandela has received more than 250 awards over four decades, including the Nobel Peace Prize in the year 1993. You are very good in it. Wonderful sketch and nice description about Nelson Mandela. This one really looks like Nelson. Can easily identify without caption! Good one!